I love Thanksgiving. The food, getting together with family, cooking and baking, eating and talking, even the football watching. It's all so festive and lovely. My favorite part is probably the weeks leading up to the big Thursday, thinking of a menu, trying to come up with the right blend of tradition and innovation. My family and I don't see eye to eye on this so it can be challenging to come up with food to please everyone, but I do feel like this year was a pretty decent success. There were a few additional dishes from other family members (Thanks everyone) to round out the meal. These included sourdough and brown sugar stuffed pumpkins, jello salad, and great grandma's fudge. All in all a fantastic meal! Leftovers! Such a wonderful thing! Fresh salads with Turkey and miso noodle soup garnished with fresh cilantro. 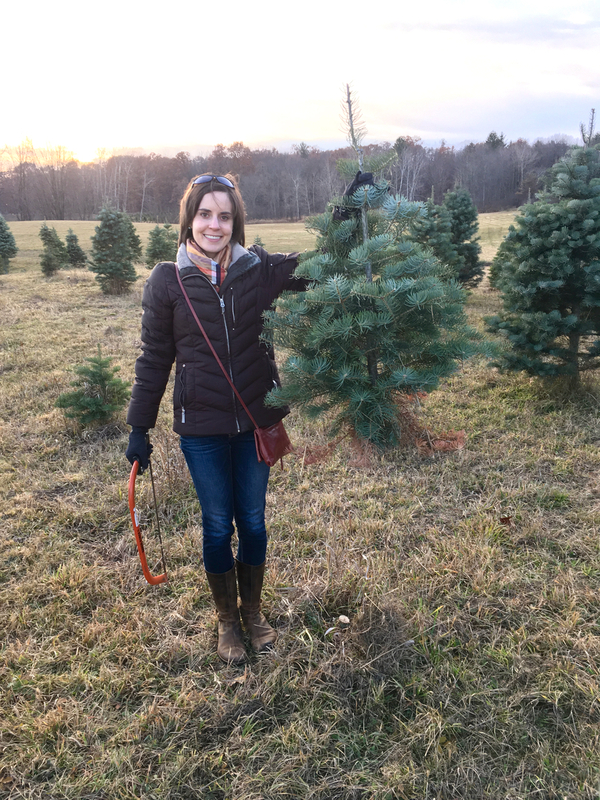 On the final day of the Thanksgiving weekend, Lara and I drove up north to Cedar Springs where I finally got to cut down my very own Christmas tree - something I've always wanted to do! Lara had met a new couple through church friends a few weeks earlier, and they started talking about her parent's Christmas Tree Farm so of course we had to go check it out. Red Flannel Tree Farm is the cutest, most picturesque place to cut down a Christmas tree that you can imagine. They have horse drawn wagons (or sleighs [!] if it's snowing, I was jealous!) to take you out to the trees. They had a wonderful variety of pines and firs of all sizes and shapes. They then have a barn full of old farm paraphernalia, some of which is for sale, and free hot chocolate to warm up with after cutting down your tree. They also have tree stands and some wreaths and other decor for sale. I had an absolute blast and want to go back and do it all over again! They're only open 3 weekends and said the trees were going extra fast this year so I'm glad I headed up to finally get the experience I've been wanting for a long time. With a tiny apartment, you only need a tiny tree! !